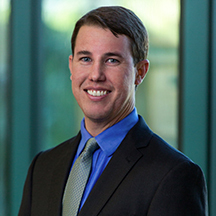 Charles Whittington is a shareholder with the Firm and has practiced in Southwest Florida since 2011. Charles is a member of the Firm’s Real Estate and Business law practice groups. Charles’ real estate practice includes commercial and residential real estate transactional matters, including acquisition, disposition, finance, leasing and development. He has handled a wide variety of complex transactions representing individuals, developers and business owners. Charles has successfully represented clients seeking land use entitlements before the City of Naples and Collier County. Charles also regularly handles commercial landlord-tenant matters. Charles’ corporate practice includes counseling clients regarding a wide variety of commercial transactions and business relationships, including business formation, the purchase or sale of businesses, non-competition covenants, commercial leases and other types of contracts. Charles also represents financial institutions and borrowers in all aspects of business and real estate financing.